Ladies and Gentlemen, the time has come. 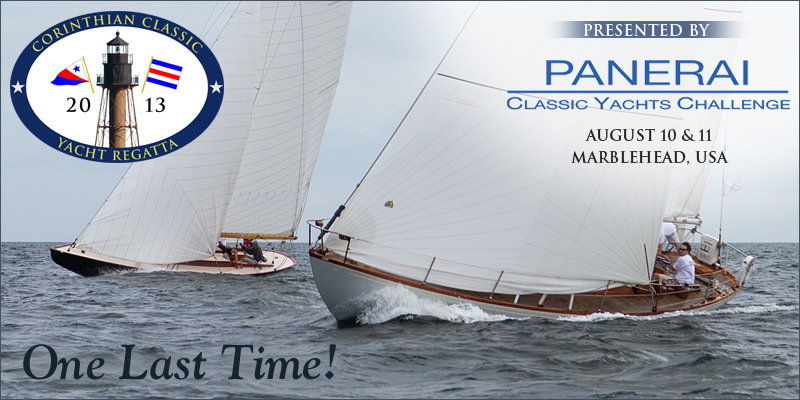 We’re inside the one minute warning (1 week) for registering for the 2013 Corinthian Classic Yacht Regatta, presented by Officine Panerai, August 10 & 11. As you may know, this regatta has become quite popular for it’s low key sailing, fantabulous spectacle of classic yachts - vintage, classic GRP, and Spirit of Tradition - free moorings, superb speakers, and an absolutely unbelievably rich skippers bag. So, one last time once… This is the event you'll speak of for years to come, but you need to register now.